The Indian Dietetic Association (IDA) launched a campaign on 4th October 2017 in Bangalore, with the agenda of making people aware about the importance of acquiring right nutrition even if they do not find enough time to have the day's main meals. Through their campaign "Healthy Swap", they are aiming to reach out to maximum people, especially the college going youth and office goers and make them aware about the importance of correct nutrition. The campaign also aims to suggest right substitutes to snacks, like various fast food items easily available in the market, to avoid health issues. The recent survey by Nielsen on snacking among 30,000 urban consumers showed that 67 per cent of Indians are consuming snacks instead of breakfast and 56 per cent are replacing dinner and lunch with snacks. In light of this survey and many mores such studies hinting towards the shift in the eating habits of the urban youth, the IDA has come up with the idea of this campaign, which aims to promote healthy snacking. "In an era of fast-paced life, healthy snacking as part of regular diet regime plays a vital role. In fact, awareness about the nutrient content of snacks with a simple act of reading nutrition information helps in making wise choices" ," said Geetha Santhosh, President of IDA Bengaluru chapter, at the launch of the campaign. "The key to good health lies in having well-balanced meals with nutri-packed snacks coupled with exercise. Currently, what people eat includes lots of fats which is a concern for their health," she added. According to IDA, although there are some healthy snacking alternatives such as yogurt, protein bars and roasted namkeen available in the market, a lot more innovation is needed in the healthy snacking category with options for nutrition on-the-go. Previously, the government studies have also indicated that fast food is directly linked to diseases like obesity and increase of cholesterol, among others. "Eating healthy doesn't have to be difficult. It's a matter of making the right food choices. In my practice, I come across many individuals who choose unhealthy snacks in the evening only because they cannot find healthier options at their workplace" said Sheela Krishnaswamy, Diet, Nutrition and Wellness Consultant. Bangalore based Nutritionist Dr. Anju Sood says, "During tea time one can easily ditch the regular fried snacks for healthy and equally delicious alternatives. Make sure you choose snacks that are high on fiber, as that leads to slow liberation of sugar, which prevents abnormal sugar spikes. It also curbs our cravings, by keeping us satiated for long. Another thing to keep in mind is the protein quotient. As protein also digests very slowly, it helps keep satiety levels high. In my view, a bowl of sprouts , besan or Moong Dal ka Chila, roasted channa with puffed rice or home-made dhoklas make for some filling and nutritious snacks." 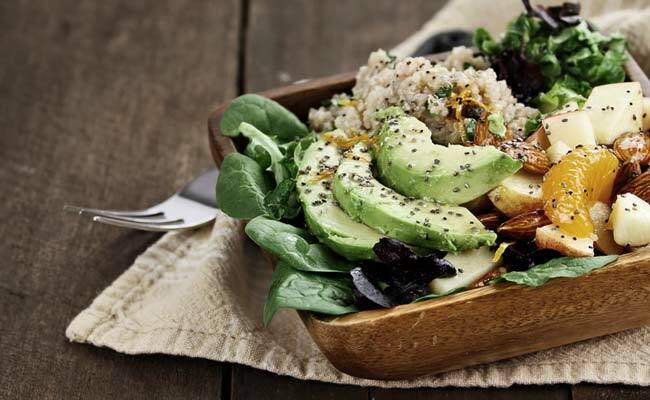 Health Practitioner and macrobiotic nutritionist Shilpa Arora gives a plethora of healthy evening snacks people can choose from, "There are plenty of options to pick and choose from. For instance pumpkin seeds, sprouts, peanuts, cashews, dates, prunes, almonds, carrot sticks, apple sticks, cheese slices or goat cheese are all healthy options. Healthy snacking during evening is only a play on correct food choices and combinations."